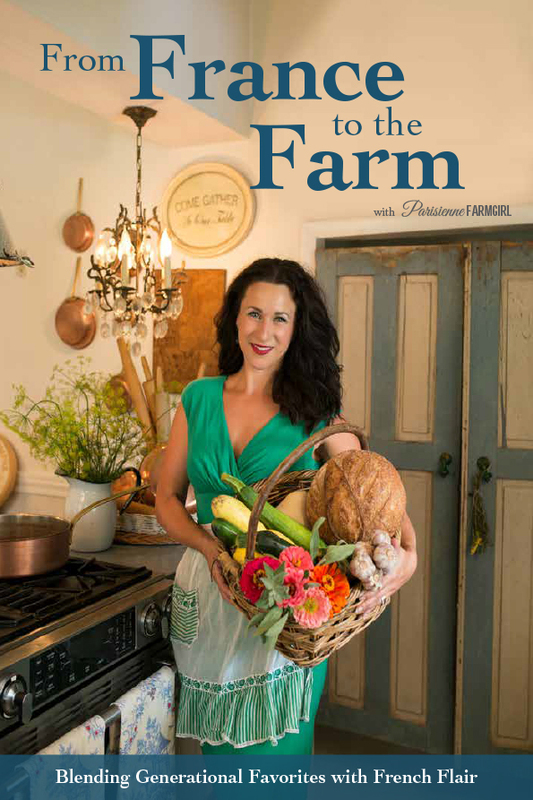 The new Parisienne Farmgirl Cookbook: "From France to the Farm"
We Are So Excited To Share This Labor Of Love With You! One and a half years in the making and now available here and on Amazon! In From France to the Farm, Angela, “Parisienne Farmgirl” takes her readers on a journey from the streets of Paris to the rows of her kitchen garden on her quiet farm. Find Yours on Amazon Today! Here! Go ahead – click HERE to peek inside and read the reviews!